What Do Employment Recruiters Look For In You? 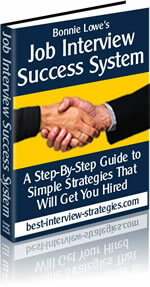 If you are looking for a job, you need to impress employment recruiters the first time you meet them. This article by guest author Tony Jacowski is a must-read for anyone wanting to know how to be more successful in their job search! There is not one magic key that can open all the doors to a job search. As job profiles keep changing, so do the job requirements. This doesn't mean that fundamental qualities such as integrity, self-motivation and trade skills have lost place in the list. Still, the present-day job scene requires a bank manager to possess lot more prior knowledge and qualities than it took some 10-15 years ago. Your enthusiasm and upbeat personalities are paramount. This is the first core quality that recruiters will take notice of when interviewing you. Think about it from their point of view - job vacancies are announced only when the going gets tough and work pressure mounts up continuously. No one else other than the self-motivated and candidates that are always upbeat in mood make it to the shortlist. There is another vital quality that employment recruiters are anxiously looking for in a candidate. Jonathan Holman, a top recruiter and an HR expert says, "Candidates must have the know-how to make money for the enterprise; all other skills are irrelevant if this one is lacking." Obviously he is referring to candidates for CEO postings. This is as good as it can get. If you really look at it, all other jobs contribute to the enterprise in one way or the other. So it is the ability to contribute, in real terms, to the overall growth of the company which matters. Holman ranks both personal and business integrity next only to the ability to contribute. Regardless of what position you are seeking, there are professional matters of high importance and proprietary in nature, which you will come across in the normal course of your employment. Opinions about you are collected and analyzed by recruiters. It is important for everyone, especially management candidates. Recruiters are very clear about this; they can't put their reputation at stake by recommending someone who they can't trust, despite proven analytical abilities and business skills. The next important thing recruiters look for is character and a strong sense of ethics. Strong character coupled with professionalism determines your interpersonal skills. Your past experiences and references of your former superiors are critical aspects which typically impress recruiters. Even recent graduates wanting to score on this count could think of apprenticeships in some very large corporations such as PepsiCo, General Electric Company, Rubbermaid, and P & G, among others. Recruiters call these organizations 'Academy Companies'. It is especially important to be presently employed - this adds a lot of weight to your candidacy. It is true that you can explain your reasons for being unemployed, so if this is true for you, then have your answer well-prepared beforehand, because recruiters will be interested in probing soon as they see that you are out of job. The ability to adapt to a new situation, responsiveness, flexibility are some innate qualities that make anyone an indispensable employee whom every recruiter wants to hire. A senior HR consultant, Paige Lloyd, summarizes things as "We're looking for students who take the initiative to do things that are above and beyond what is required for graduation," she says. "That speaks to us of their ability to work on different tasks." On-campus activities, networking abilities and participation in student or professional organizations can't be neglected. The next time around, you will know in advance what to expect in an interview. Good Luck! Tony Jacowski is a quality analyst for The MBA Journal. Aveta Solutions - Six Sigma Online (http://www.sixsigmaonline.org) offers online six sigma training and certification classes.